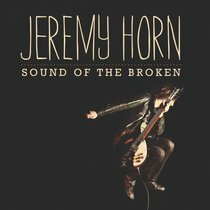 :The first studio release from Jeremy Horn, worship leader at Christ the Rock Church in Memphis, Tennessee. With an engaging blend of up-tempo, energetic pop and intimate worshipful moments, Jeremy never fails to be authentic in sharing the message of hope in the midst of broken people. In Sound of the Broken he offers an album of worship meant to remind us that the Spirit of God rests inside of broken people, and that God wants to use us to tell His story of redemption. The answered prayer of a 16-year-old has not changed Horn's understanding of his calling. I'm a local church guy who loves people and wants to disciple people and be relational. Worship is a lifestyle of obedience to the Lord. It's saying yes to Him when He asks you to do things. Worship can mean living your life for the glory of Christ, living your life to share Him with others. Jeremy Horn was born and raised in Memphis, Tennessee, and began playing the guitar at 15. A friend convinced him to use his talent for God and Horn began writing Christian songs. He lives in his hometown of Memphis, with his wife Denise and children Judah, Liam and Daisy. He is a worship pastor and college pastor at his local church, Christ The Rock, and his wife serves there as a youth pastor. He writes all of his music, and calls himself "a conduit for the Holy Spirit" when it comes to the lyrics.